What Does More Regulation Of Facebook Mean? At this point, unless you’re buried under a gigantic boulder with no means of escape, I’m sure you’ve heard about one of the biggest scandals of the year: Facebook‘s privacy breaches with Cambridge Analytica. This third party is called Cambridge Analytica and in a plot twist that is worthy of a Black Mirror episode, it turns out the collected information has been used to specifically target users to influence their political leanings during the infamous 2016 US election. Tougher regulation is now inevitable. Ideas and thoughts about much more intense regulation such as more oversight by the government regarding how Facebook is run seem to singal an impending seismic shift for the tech giant. 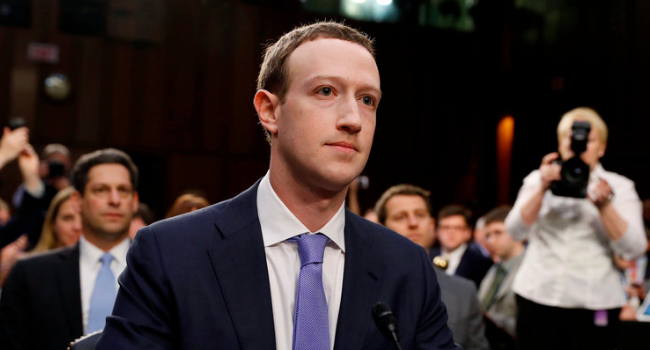 Although Mr. Zuckerberg doesn’t seem to have much trouble with most of the regulation they proposed, answering with an “I don’t oppose” to pretty much all of the proposals with the same enthusiasm a child being punished, knowing they can’t get away with it – with the same expression of someone who’s just kind of just sitting there hoping for the least severe punishment to be enacted. What does this mean for smaller tech companies that don’t have the same support and funding, and in general, power? What does it mean for the Internet in general? Exactly how much power is being handed over to the government? Well, we now know a bit more as this scandal has slowly developed through the past month. The EU’s General Data Production Regulation (GDPR) is already cracking down on social media sites that collect data on their customers. According to this article here, what that means is gigantic tech corporations will be required to “opt-in” their users for their data to be used for various purposes. Essentially, this would target their ad revenue which can prove to be much more burdensome for startup social media platforms and smaller companies; whilst Facebook and Google will be hit with lower ad revenue, their company is worth so much with already so many other revenues bringing in profit, this could only hurt smaller companies. Right here in Australia, there’s already new bills and legislation being drafted to consider protecting customer’s right to their own privacy. After the rude awakening that we are being used as products by gigantic social media companies, it seems like having more transparency on seeing where our own data and information are being used is extremely important and crucial to preventing something as big as the Cambridge Analytica scandal happening again. But with all that being said, how do we as citizens, being used by a large corporation, feel about more power laying in the hands of our government? Although I fully support any law that could prevent my private personal information from being exploited for a company’s gain, this could set a potentially extremely dangerous precedent for where and how the government can control where our data goes. Even if at this point we’re promised that our own data will return to us, we have to be cautious about exactly how much the government is allowed to interfere. After all, the internet is the best place for free sharing of information and democratic debates where everyone placed at the same level. Government intervention should be seen with a critical eye rather than welcomed with open arms and a sigh of relief.